What else can be new??? New paint, new carpet, new dishwasher, new pool pump and new sprinkler control panel. The owner has spared no expenses: $40,000 in Sun Power solar panel (totally paid), water softener, garage swamp cooler, insulated garage doors and beautiful desert landscape. This beautiful home is located on the 2nd hole of the Pete Dye Private Golf course, over looking the lakes, the golf course and the mountains. Come and enjoy the desert life with a beautiful patio, featuring built in BBQ, infinity-edge pool, desert landscape. With its 3 en-suite bedrooms, gourmet kitchen with granite counter top, large great room and wet bar, this house has it all. 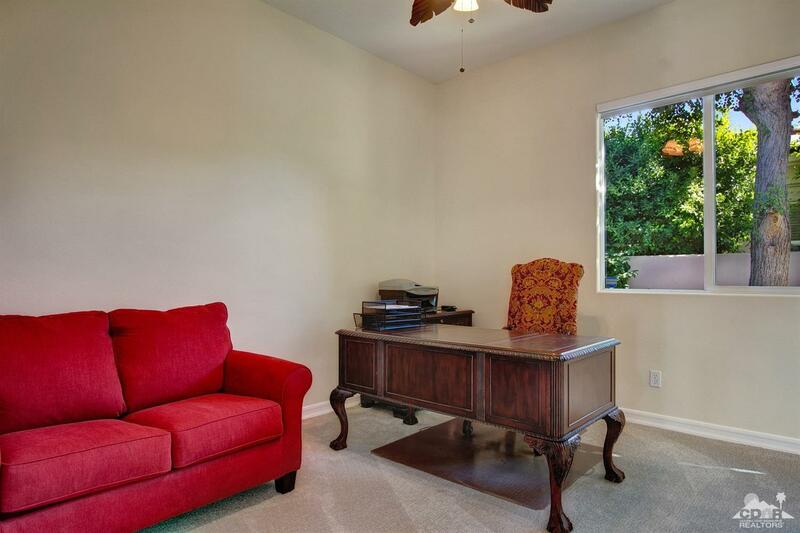 Furnished per inventory and almost turnkey, this house is a jewel in Mission Hills. HOA includes social membership to Mission Hills.